Whenever as person is suffering from any type of addiction, especially to drugs or alcohol, it almost always takes a toll on many areas of their life. This includes the relationships they have with family members, spouse, children, friends, and even co-workers. It’s easy to say that in many cases the person suffering from addiction can’t see how bad their life has become until significant events happen like the loss of a job or being abandoned by friends and family. This is no truer than individuals who have become addicted to opiates. In many cases opiate addiction can start in a very benign way, and truly sneak up on a person who is taking prescription opiates for 100% legitimate reasons. Thankfully for those who need the services offered by an opiate rehab center, White Sands Treatment Center in Fort Myers offers a variety of comprehensive care programs. Miami Lakes residents who are searching for an opiate rehab center in Florida that offers a full suite of service such as opiate detox, medically supervised rehab programs, and high-quality counseling will find the services they need at White Sands Fort Myers. It may seem like a simple concept, but the availability of Miami Lakes opiate addiction treatment can be a key component in whether a person agrees to enter an opiate rehab center and receive treatment. Experts in the field often note that having to leave the area or even the state they live in is an excuse often used by drug and alcohol abusers. White Sands Fort Myers answers that question for people throughout south Florida, including those in search of Miami Lakes opiate addiction treatment services. When it comes to finding an opiate addiction center in Florida, there are a lot of choices but the comprehensive approach taken by the professionals at White Sands Treatment Center sets them apart. Not only can addicts and alcoholics choose from a variety of treatment options, family members can learn all that they need to know about how opiate addiction or any other substance abuse problem is affecting their family member. Loved ones have often had no exposure to addiction in the past and do not understand some of the concepts and processes involved in rehabilitation, including things like opiate detox, inpatient and outpatient programs, and aftercare organizations. Anyone looking to begin a program for Miami Lakes opiate addiction treatment must understand that opiate detox is the first step in the process for everyone. It is highly recommended by everyone in the field that addicts go through opiate detox in an opiate rehab center for their own safety and well-being. First of all, addicts or alcoholics who have had a substance abuse problem for a good amount of time often have neglected their general health and an opiate rehab center like White Sands looks after their overall health, not just their problems with addiction. In essence, an opiate rehab center can nurse a person back to health after months or years of self-neglect. Second, detoxing at home, especially opiate detox, can be dangerous because the individual in not in a drug-free environment and even if they have removed all of the drugs in their home, they can easily acquire their preferred substance or something else, and due to the possibility of binging, overdose and in the most severe cases die. 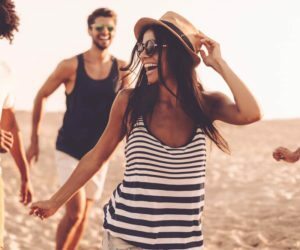 White Sands Fort Myers is an excellent choice for people who are searching for Miami Lakes opiate addiction treatment and want more information about the types of services offered at a high-quality opiate rehab center. Call or come in today to talk to one of the highly skilled specialist and find out more about the services that are available to you.